Are you a Holder resident having problems with your TV Reception? It can become very frustrating. Especially when most Australians watch TV every single day. When you get home from a busy day, and all you want to do is relax, the last thing you need are pixelating channels or coverage dropping in and out. And it's even more frustrating when you have several TV's for different family members and it's happening to all of them. No matter what kind of reception problems you might be having, your local TV Magic Technician will get to the bottom of it. Can I Fix My Own TV Reception Problems? It is often the case that people assume their reception problems are connected to their Antenna, however there can be a whole range of causes for your coverage dropping in and out. For instance, if all of your TV's are playing up, it may not only mean that you have bad coverage, but it could also be the result of your TV points. When an inexperienced or careless technician installs your new TV Points, they may not check the amount of signal that is already reaching your current TV points, and if the signal is weak, they can risk losing coverage from all of your TV's. And that's just one possiblity. When TV Magic come out to investigate your reception problems, you can rely on them to get to the bottom of the problem, quickly and effectively. Why? 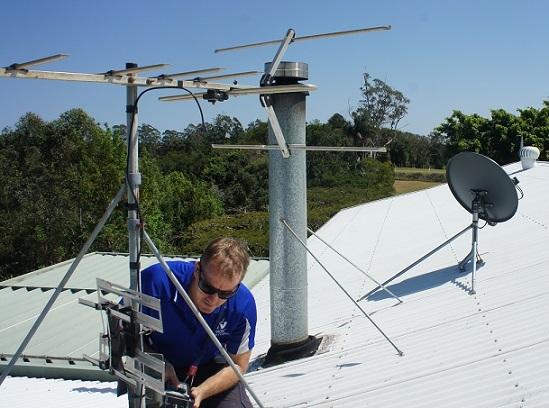 Because unlike many other technicians and handymen we have up-to-date trainign and equipment and over a decade in experience of TV, Antenna and Reception repairs. So when you want someone reliable to fix your TV and Antenna problems, it's time to call TV Magic.